Looking for a mid siaze sedan that will be reliable, am planning to keep at least 10 years. 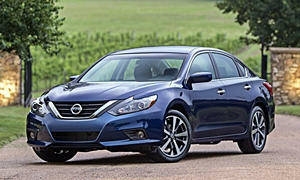 You will have lots of good choices in The Land of The 4 Door Sedan! If you don't have a strong brand or model bias it will probably take some time to sort through all the options. I point you to Toyota Camry, Honda Accord, Kia Optima, Mazda 6, or Ford Fusion; are all reliable, comfortable, and fuel efficient. 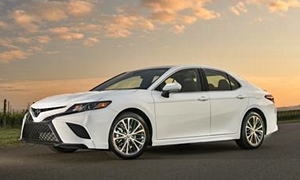 Camry & Accord are top picks and also will be top dollar. You're likely to get more value by going with the Optima (along with a 10 yr warranty if you get a Kia Preowned Certified one)), M6, or Fusion. The M6 and Fusion in particular are sort of sleeper models -- they have a lot to offer but are not as wildly popular as the other models. The result is their resale value is more affordable. 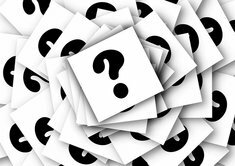 Rather than try to provide you details on each of the above models I suggest that you go to Consumer's Report to help you sort out the details. Another great way to sort through your choices is to google various comparisons such as: "Toyota Camry vs Mazda 6 vs Honda Accord". You will get lots of professional and amatuer opinions to guide you. Narrow your choices down on-line then strap yourself and favorite passenger(s) behind the wheel for the longest test drive you can finagle. If you are not in a hurry and live in a major city, I suggest that you consider utilzing Turo to help you with your decision. With Turo you can rent a wide variety of models from the owner for $30-$60 a day giving you an opportunity to actually live with the model for a day or two. That is so much more useful than the typical 15-30 minute test drive you would get from a dealer. Then it boils down to which car best suits your needs, tastes, and budget. We would love to hear back on what you select! Only thing I can add is the new Toyota Camry has about $2000 off right now because sedans are not selling and they are trying to prop up sales. 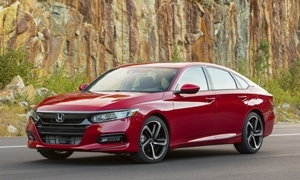 Honda Accord has the same thing for the exact same reason - drove past both dealers yesterdy and they have a lot of both those models on the car lot right now (overflowing at the Honda dealership, almost as bad at Toyota). Sedans just don't sell right now - and they made too many. If you want all wheel drive, then Subaru Legacay is the way to go as is the Buick Regal although note this is the first year of production of the Regal so realiablity is not known yet. The used one is particularly a pretty good car. Otherwise follow above fromdanlisahall.Best of luck. WOW the mythical 4 door sedan buyer! I believe they are all going extinct. Sorry, but really sedan's are going the way of the dodo, people would rather buy a cuv than a sedan nowadays. So what should you buy if you want a good old 4 door reliable car for the long haul and you have 16k to spend? I'm going to say keep it simple, no turbos that might require rebuilds after 100k miles(honda accord), no awd that will require servicing an extra differential (subaru legacy), no CVTs that if they go down will require a replace the whole thing scenario (both Accord, and subaru). What you want is a 2wd natually aspirated vehicle with a standard automatic transmission. There are very few models that don't have exotic transmissions and the like nowadays. 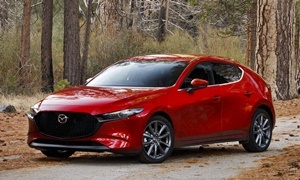 The 2 I like best are the 2016-2017 Toyota Camry, 2016-2017 Mazda6, and the 2016-2017 Mazda3. If you want something big and that will blend in get the Camry. It will probably be the most reliabile of the 3. 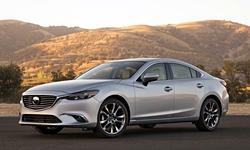 If you want something big, but sportier, get the Mazda6. If you want something a little smaller, and sportyget the Mazda3. Turbos differ by company and experience level. Saab did it for decades so when I bought mine in 2006, they had it down cold. That engine lasted the life of the car with absolutely no work on it (170,000 when a tree took it out). GM owns and uses that technology now - so they still don't have turbo failures. Many companies adopted it more recently, so I do agree you may be taking a chance with Honda but even they did it on the Acura RDX over 10 years ago and that engine has been fine since it first came out. So chances are the Honda turbo is probably not going to be an issue either. Subaru on the other hand does have more trouble with their turbo units, but it is because their engines burn oil 10% of the time. The turbo also requires premimum (unlike GM's which only need regular but premimum gives better perforance). So in general, yes they are more complicated (ergo, more expensive) but as far as reliable goes, most of them are fine now. I say most as Ford recently got into turbos and those have had a number of issues as of late (for an example of someone who recently went in that direction). CVTs are an adjustment admittedly. I don't really like them either. However, most of them work fine and are durable. Not all just like cars but it is not the design that causes the issue. Driveablity is a concern, however. You'll be looking at the previous gen 2012-2017 Accord without the turbo if your budget is $16,000. These should be more reliable. I would buy these over the 2017 and older Camry. They are both reliable, the Camry more so. The Camry had a 6 speed auto, not a CVT like the Accord 2.4L. Above both of these, the Mazda6 would have been the one I would have bought. It has more road noise and is rougher, but the interior is nice, it handles well, and it was available with more features than the Accord or Camry at the time. 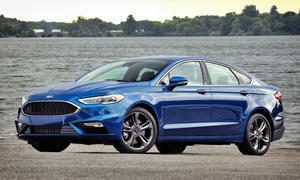 The styling beats all the other midsized sedans. If you like the Mazda6 the 2016 had a nicer interior and much better infotainment system. 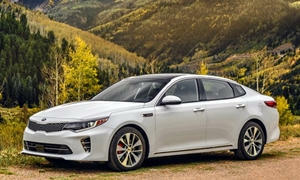 The Kia Optima is an one that people forget about, but it's a good one. You'll be able to get one for very cheap because of their depreciation. They are solid, nice cars and a great value. I would look for a 2015 or newer. It won't be as reliable as the first three I mentioned, but if you buy certified preowned you'll get the 10 yr warranty. CVTs are not that unreliable. Nissan and some Subarus have problems, but otherwise they are just expensive when they need replacing, which is not often. I don't like how they operate, but that is where automakers are going now. I bought a 08 Nissan Altima SL years ago and it's been absolutely reliable. I have over 150,000 on it now and only have done oil changes, brakes and tires. Nice ride, good options and very good gas milage for a full size car. I got used to the CVT transmission in no time. Don't even notice it now. They are good value when bought used. I have owned mostly Toyota, vw, Honda and one Hyundai the past.